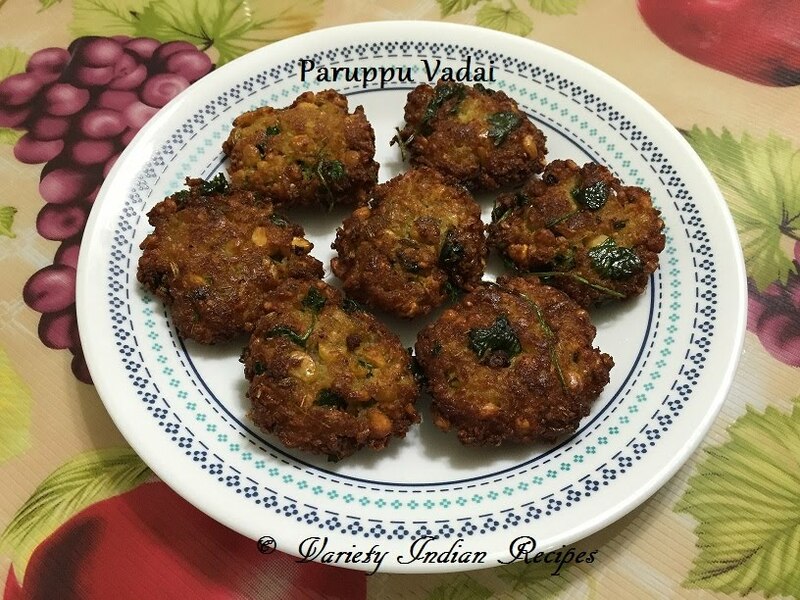 Paruppu Vadai / Masal Vadai is a famous snack in south India and is often made during special occasions. This vadai recipe is made with Channa dhal and spices. This fried snack is perfect for tea time. Soak Channa dhal in water for 2 to 3 hours. Grind green chilli, ginger, fennel seeds, curry leaves , half of the chopped onions into coarse paste without adding water. Strain the water from the channa dhal and grind it with the above paste without adding water into a coarse paste. Transfer the contents to a mixing bowl. Add coriander leaves, remaining onions, salt and mix well. Heat oil (for deep frying) in a pan. Take the channa dhal paste . Make small balls of the paste and flatten them to form a circle. Set the heat to medium flame and deep fry them until golden brown, flipping once in between. Crispy paruppu vadai is ready. Serve hot.